BEST FIGHTER FOR CANADA: F-35 vs. Typhoon... FIGHT! Many services intending to utilize the F-35 Lightning II will do so as part of a mixed fleet. For example, the USAF will combine the JSF with the F-22 Raptor. The USN and the RAAF will fly the F-35 alongside the F-18E/F Super Hornet. 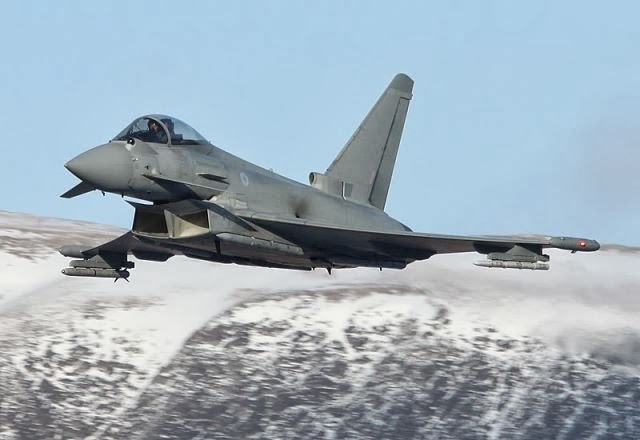 Britain and Italy will combine the F-35 with the Eurofighter Typhoon. In both Britain and Italy's case, the F-35 is seen more as an heir apparent to the Panavia Tornado. 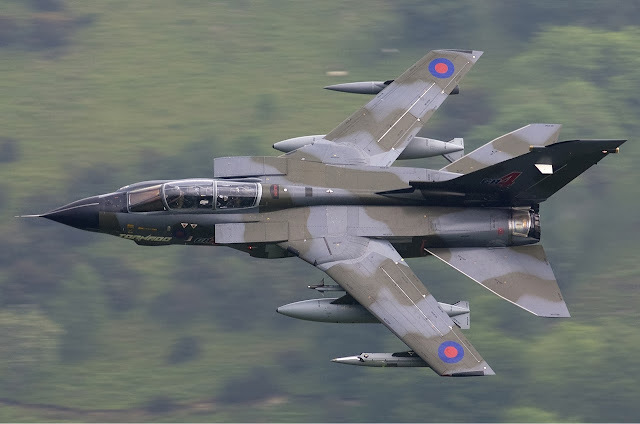 It should be noted that the Tornado was once considered for Canada's New Fighter Aircraft Program (which resulted in the CF-18), but one of the strikes against it was it was its emphasis on ground attack over air-superiorty. So... There you have it. F-35 = Strike Fighter. Typhoon = Air superiority. Despite all the claims of the JSF's advantages due to stealth, situational awareness, etc; at the end of the day, it is still a ground pounder. A bomb truck. 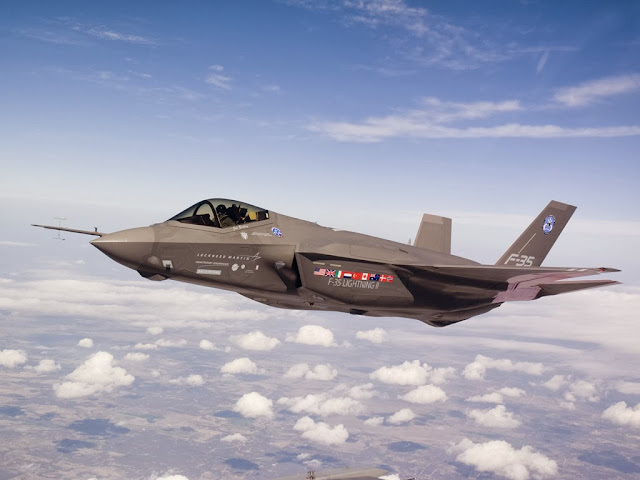 Don't get me wrong, strike is a very important role, and the F-35 may indeed be the best aircraft ever for that role, but when it comes to air-superiority duties, like interception and combat air patrol (CAP), the Lightning II may be somewhat out of its element. Eric Palmer of the Eric Palmer blog puts together a hypothetical scenario of 2 Typhoons engaging 2 F-35s. The outcome is predictable, (it should be noted that Palmer is no fan of the JSF) but based on sound reasoning. The F-35 better hope to have first look. The F-35's AMRAAMs better work. With only 2-4 missile internally, there isn't much room for error. The Typhoons, with a higher speed, altitude, and impressive jamming capabilities will NOT be an easy target. Turning tale and running is not an attractive option against the much faster Typhoon. Does Canada need a high end air-superiority fighter? Or does it need a high end strike fighter? I agree. F-35 air-to-air capabilities seem limited because of the "all stealth" approach. When F-35 is seen, it is already virtually shot. That isn't a problem for USA with its massive air-to-air fleet of F-22 and F-15 but how will Canada, Netherlands and all the "single fighter aircraft" fleets do? As noted different main capabilities, I can see f35 and typhoon flying in packs, f35 to deliver on target and typhoon on patrol. Off course both machines can cross over to other types of missions if required, both machines can be see in the same hanger at raf hendon museum in north london, they look about the same dimensions. Britain, Germany, Italy and Spain have created the best air fighter in the world. The Eurofighter is easily the best fighter, and has already beaten the F22 Raptor in a dogfight, whilst shifting attacks from the F22. Combine the F-35, and the two will be highly fearsome. Although i am disappointed in what i have heard about the F-35, i hope it proves to be in the end, a great ground attack fighter. But the Eurofighter would take the super hornet any day. 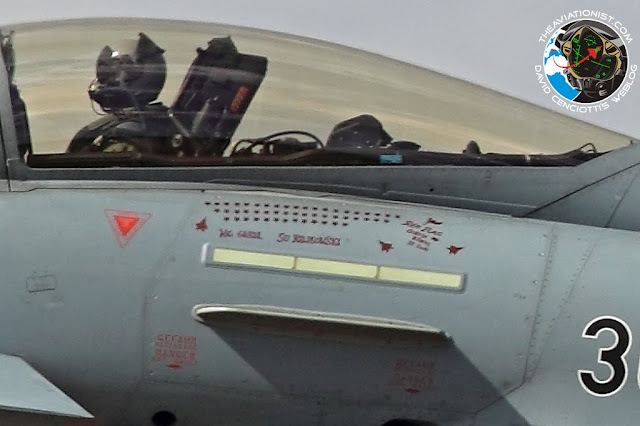 I believe the EF flown by Germany at red flag did not have the helmet to shoot hobs missiles which made the end result even more spectacular for the "euro canards"